writing desk over near the window. I found myself writing—not advertising copy, but a story. first hint of it, when I was a boy. born. The result was “Tracks and Ties.”—soon to be christened Chapter One. decade-long labor. It was written for you. Taken together, almost in any sequence, its fragments are scenes remembered—poignant and jarring, spiritual and profane. They bear witness to virtue and vice, hope and heartbreak, to passion and folly and the ardent promise of redemption. Some arrive for your judgment just as they happened, some as they might have happened. A few are recalled as they never were. Like every story, the parts are not all facts; they are not all faith. 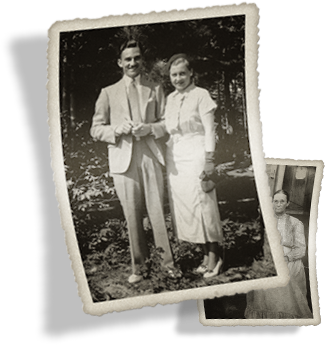 L. E. Taylor is a product of the 1930s and ’40s, the first son of a hybrid Middle American family—itself a resilient mix of Scots-Irish Kentucky coal miners and poor German immigrants. The novel comes together at the social and economic battleground of an age: Detroit. Historically authentic settings and mores rekindle the past: backwoods Kentucky, a booming young Detroit, anti-German hostility during The Great War, whiskey-running and speakeasies, twists of fortune after The Crash, the Machiavellian inner sanctums of the world's largest industry, the World War II American home front—and finally, sea-changes in society and in private lives that accompanied Post-War normalcy. 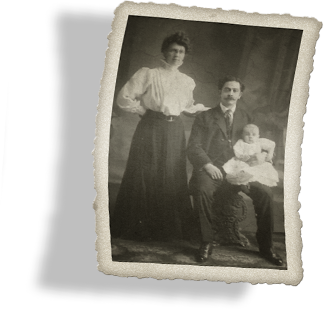 Caution: The book is based upon oral history, family lore, and first hand memory. It is an adventure, a spiritual journey… and to delicate 21st century sensibilities, politically incorrect to a fault. So be warned. The story is written exactly as people behaved, spoke, and lived. To change one word to accommodate 21st century fads would be irresponsible, factually and artistically. And it would be insulting to the memory of those—with all their flaws—who’ve preceded us. “TO MR LE TAYLOR: Your book, Elgan and Grace, arrived today! I grabbed an extra hour and read the first two chapters. Fascinating. I have no idea where all the plots are going, but that's the way a good book reads. . . Hard to believe how you captured the "South." Makes me feel like I'm there. Not the deep South from which I hail. (You know; the moss covered richness of LA, Harper Lee style. LOL) You had me smelling beans and salt pork cooking, for crying out loud! “DEAR LET, I finished Elgan and Grace last night! “AS A GUEST COLUMNIST for my local paper in South Carolina, I am favored with off-the-mainstream reading recommendations from friends and readers. 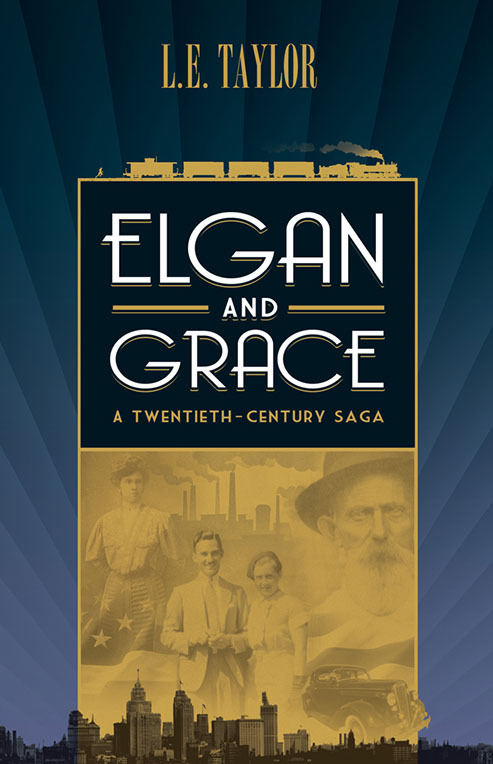 Recently, a friend suggested that I might enjoy a new book called Elgan and Grace – A Twentieth Century Saga. 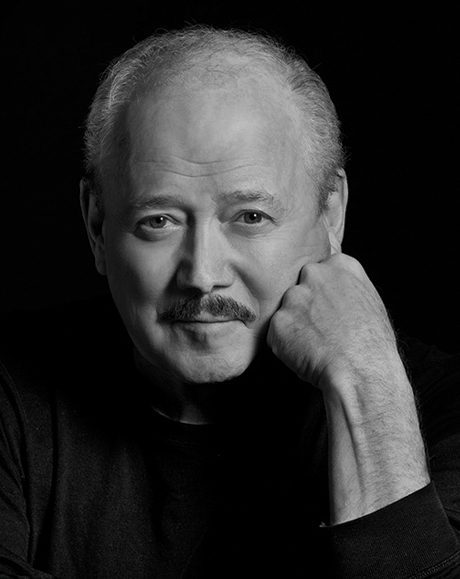 It is the result of a 15-year-long effort by a first-time novelist from Dallas, L. E. Taylor. . . I found Elgan and Grace to be a book I couldn’t put down. Multiple storylines are woven together in a way that held my interest. What I love about his writing is that it is an easy read, and so many of the places in Michigan that he mentions, I’ve either been there, or know about the history. I woke up at 2:30 one morning and read to 7 a.m. Then I had to take my van to the shop, and found myself waiting 2 hours – doing guess what? Reading Elgan and Grace on my Kindle. This is more than just another family history. Elgan and Grace are two [real] people that did the things that helped make this country great – with hard work and honesty. The book touched me deeply. I hope L.E. Taylor plans other books in the near future. I give this one Five Stars! 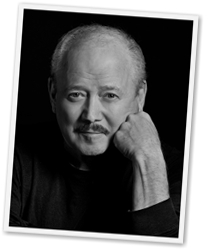 “…THROUGH READING THIS BEAUTIFUL BOOK, I have [the author] to thank for lighting a fire under me to leave a legacy for my own generation (Gen X). . . a true story of strength, hope, wisdom, and good old American perseverance. 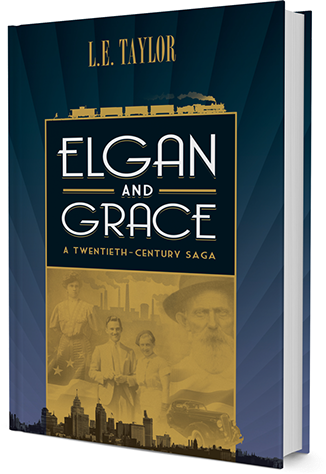 Elgan And Grace is not just a saga of the 20th century, but a message… needed for ours and future generations! … “You’re going to be challenged, looked down on; half-truths and outright lies about you will precede you and people who don’t even know you yet will have their minds all made up. So, you’ll need to know what’s true. About your country, about your state, about the South and slavery and what really happened both before and after that war. There’s honorable things to be proud of and there’s un-Christian things to be ashamed of. It’s our job to see you know which is which and see that you take along as much of it as you can hold, wherever you go. …The young man stood leaning against his car, smoking a cigarette. Ginny saw him as she rounded the first bend past the sycamore. He raked back a shock of black hair from his brow and grinned. Ginny Kelley came to a stop a couple of paces away. Her heart was pounding. Her mouth was dry. … Up ahead, the engineer sounded the whistle twice, and Elgan hurried to the third to last coupling and lifted himself onto the iron rungs that ran up the back of the forward-most car. Elgan leapt to the other side of the car and off, and came to land on his feet, running. As the last boxcar passed, he rolled onto the undercarriage a second before the railroad man, now up on the coupling, peered around the corner to see where the boy had got to. At fifteen, Elgan was small and compact, and he fit well onto the tiny platform with nothing to spare. As the train picked up steam, he clasped the cold metal suspension rods. His grip was certainly not going to hold all the way to Chicago. It held until the train took a curve just before Owensboro, flinging the boy down an embankment in a shower of sparks and an angry shriek of metal on metal. Elgan sat up. Cut and bruised, he limped back down the tracks, south. “You two kin talk on yer own time. Get busy!” The young foreman was no older than sixteen, pimply and freckled both. A thatch of orange hair stuck out from under a sweaty no-color fedora. “Oh yeah?” the redhead snarled. He pushed Elgan hard, sending him off-balance through a row of tobacco, and into a colored field hand working the other side. “There’s where you b’long, with your kind,” he snarled at Elgan over the foliage. 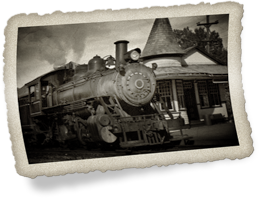 A sinewy arm shot across the tobacco row and grabbed the foreman by the shirt front and pulled him across. Elgan flung the young foreman to the ground with a force that startled him, not to mention cousin Roy and the Negroes. In an instant, Elgan’s work boot was on the kid’s chest. “I don’t want to fight you. I’ve got no quarrel with you. Now let’s just forget about this. OK?” Elgan removed his foot and put out his hand. … Outside, on the front porch, Helena and Quinn pause and survey the Elysian grounds of the Michigan State Asylum for the Criminally Insane. “Aren’t them lilacs beautiful?” Helena remarks softly to no one. Quinn looks at the row of frothy lavender trees. “Oh. Yeah. Sure are.” He pulls out a pipe, jams a thumb into the bowl, and feels in his pocket for a match. He finds one and strikes it on a thumbnail. “I wonder who ‘Bill’ is,” he muses, sucking the flame into fresh sweet tobacco. “Mmm.” Officer Connie Quinn blows a whiff of fragrant tobacco smoke downwind and flips the cold matchstick into a flower bed. “One more block,” Fred grinned. A minute later they turned at the corner of Chippewa Street, the last street of the development. “I don’t know, Fred.” Helena peered up the dirt road. Fields and dense stands of tall trees separated skeletal houses in various stages of completion. “It’s just up in the middle of this block.” Fred could hardly contain his excitement. “Are you cold? Let me give you my coat.” Fred began to remove his suit coat. … She played absently with a honey-colored curl as she stared, curious, at the sleeping face of her Papa. Oddly, she saw something that made her heart leap. From a nostril, appeared a trickle of blood… In an instant, the doctor moved to the corpse, wiped the blood away with a swipe of his handkerchief, and gently guided the child toward her shocked elders. From the hallway, a large woman in a flurry of swishing black silk and a clatter of pearls rustled across the parlor and snatched up the girl. 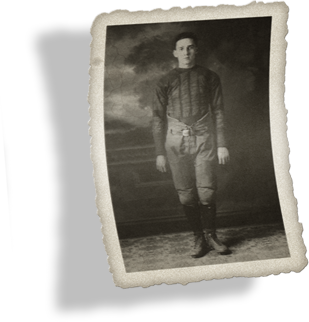 … the Owensboro boy found himself closing on the lone Central City defender, only five yards away. It was the kicker. In a flickering second the slight-built punter dove low, caught an ankle and the two cart-wheeled through the downpour, the smaller Central City boy coming to earth on his back. The ball-carrier’s left cleat planted itself firmly on his face. An explosion struck Elgan’s eyes like lightning. He scrambled to his feet, the field a red blur. He stumbled over something, the downed runner perhaps, and pitched face down into the liquid earth. Vaguely, he perceived near his face a black melon of mud, which he drew to his chest and hugged like the rolling coronet of King Richard. The cleat scar remained all his life, a white line through the black arch of his right eyebrow. It was not Elgan’s first scar. It would not be his last. I’m going to be murdered, she thought. If my mother knew. Oh my God, if she knew. They arrived at the light. A rivet-studded black steel door, glistening and cold from the just-quit rain, did not welcome them. Elgan stepped forward and removed his light gray snap brim fedora. The light shone softly on his haircut. He tapped on a small brass plate with a car key. Just above the plate a tiny grate protected a miniature door, no larger than a playing card. It opened inward and a man’s eye appeared. … Howard maneuvered his green Dodge into the left turn lane and accelerated onto the Belle Isle Bridge. He checked the rear view mirror. Howard was glad to see so few cars going to the island. A handful of pedestrians kept to the sidewalk along the concrete rail, but it was a workday, and in 1954, that meant people were at work. He kept to the right and drove along the water’s edge around to the ship channel side. A long brick-red lake freighter, the Harvey S. Mott, was gliding past between the island and the Windsor waterfront. It was high in the water, empty, on its way to Lake Superior for iron ore, or maybe to Green Bay or Chicago for grain. Howard turned at the playing field entrance and parked at Diamond 8. Movement on the road caught Howard’s eye. A black car, an old Ford, entered the playing field lot, and limped to a halt next to the Dodge. The driver’s door groaned opened and stayed agape for a half minute before the driver emerged. He closed the door, stared at it, opened it again and closed it with more force… The man saw Howard and waved. Howard gestured in reply and looked at the river. A black ore carrier was riding low in the water, heading downriver toward the Rouge. White sails skimmed past in the opposite direction, lake-ward. Howard thought about people who had nothing to do on a Tuesday morning but sail a boat.